Master-slave replication Not an issue because shards are replicated across nodes. Online schema changes Schemaless mode or via dynamic fields. Only backward-compatible changes. Document-oriented Autocomplete Solr suggester return phrases not documents. Inter-index joins Joined index has to be single-shard and replicated across all nodes. Automatic shard rebalancing Solr Autoscaling is new in Solr 7. it can be machine, rack, availability zone, and/or data center aware. Arbitrary tags can be assigned to nodes and it can be configured to not assign the same shard and its replicates on a node with the same tags. Change # of shards Shards can be added (when using implicit routing) or split (when using compositeId). Cannot be lowered. Replicas can be increased anytime. each index has 5 shards by default. Number of primary shards cannot be changed once the index is created. Replicas can be increased anytime. The Shrink Index API lets you reindex the index into a new index with fewer shards. Shard splitting You can use the Index Splitting API to index to a new index with primary shards split. Avoid duplicate indexing on replicas Solr 7 provides 3 kinds of replica types: NRT (default and the pre-Solr 7 behavior), tlog and pull. Non-SolrCloud master-slave replication can be achieved with tlog replica types. Consistency Indexing requests are synchronous with replication. A indexing request won't return until all replicas respond. No check for downed replicas. They will catch up when they recover. When new replicas are added, they won't start accepting and responding to requests until they are finished replicating the index. Replication between nodes is synchronous by default, thus ES is consistent by default, but it can be set to asynchronous on a per document indexing basis. Index writes can be configured to fail is there are not sufficient active shard replicas. The default is quorum, but all or one are also available. Here are some simple guidelines if the crazy long grid of features above did not help. 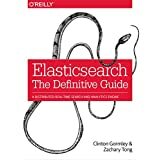 Every serious search application I have worked on has required in-depth customization of the search workflow and relevancy tweaks, and at the time of writing, this is simply not possible in Elasticsearch without major hacking. If in doubt, go Solr. 1. Elasticsearch was born in the age of REST APIs. If you love REST APIs, you'll probably feel more at home with ES from the get-go. I don't actually think it's 'cleaner' or 'easier to use', but just that it is more aligned with web 2.0 developers' mindsets. 2. Elasticsearch's Query DSL syntax is really flexible and it's pretty easy to write complex queries with it, though it does border on being verbose. Solr doesn't have an equivalent, last I checked. Having said that, I've never found Solr's query syntax wanting, and I've always been able to easily write a custom SearchComponent if needed (more on this later). 3. I find Elasticsearch's documentation to be pretty awful. It doesn't help that some examples in the documentation are written in YAML and others in JSON. I wrote a ES code parser once to auto-generate documentation from Elasticsearch's source and found a number of discrepancies between code and what's documented on the website, not to mention a number of undocumented/alternative ways to specify the same config key. By contrast, I've found Solr to be consistent and really well-documented. I've found pretty much everything I've wanted to know about querying and updating indices without having to dig into code much. Solr's schema.xml and solrconfig.xml are *extensively* documented with most if not all commonly used configurations. 4. Whilst what Rick says about ES being mostly ready to go out-of-box is true, I think that is also a possible problem with ES. Many users don't take the time to do the most simple config (e.g. type mapping) of ES because it 'just works' in dev, and end up running into issues in production. And once you do have to do config, then I personally prefer Solr's config system over ES'. Long JSON config files can get overwhelming because of the JSON's lack of support for comments. Yes you can use YAML, but it's annoying and confusing to go back and forth between YAML and JSON. 5. If your own app works/thinks in JSON, then without a doubt go for ES because ES thinks in JSON too. Solr merely supports it as an afterthought. ES has a number of nice JSON-related features such as parent-child and nested docs that makes it a very natural fit. Parent-child joins are awkward in Solr, and I don't think there's a Solr equivalent for ES Inner hits. 6. ES doesn't require ZooKeeper for it's 'elastic' features which is nice coz I personally find ZK unpleasant, but as a result, ES does have issues with split-brain scenarios though (google 'elasticsearch split-brain' or see this: Elasticsearch Resiliency Status). Something to add about this: ES doesn't have a very elegant Java API IMHO (you'll basically end up using REST because it's less painful), whereas Solrj is very satisfactory and more efficient than Solr's REST API. If you're primarily a Java dev team, do take this into consideration for your sanity. There's no scenario in which constructing JSON in Java is fun/simple, whereas in Python its absolutely pain-free, and believe me, if you have a non-trivial app, your ES json query strings will be works of art. 8. ES doesn't have in-built support for pluggable 'SearchComponents', to use Solr's terminology. SearchComponents are (for me) a pretty indispensable part of Solr for anyone who needs to do anything customized and in-depth with search queries. Yes of course, in ES you can just implement your own RestHandler, but that's just not the same as being able to plug-into and rewire the way search queries are handled and parsed. 9. Whichever way you go, I highly suggest you choose a client library which is as 'close to the metal' as you can get. Both ES and Solr have *really* simple search and updating search APIs. If a client library introduces an additional DSL layer in attempt to 'simplify', I suggest you think long and hard about using it, as it's likely to complicate matters in the long-run, and make debugging and asking for help on SO more problematic. instead of sunspot/sunspot if you can help it. ActiveRecord is complex code and sufficiently magical. The last thing you want is more magic on top of that. To conclude, ES and Solr have more or less feature-parity and from a feature standpoint, there's rarely one reason to go one way or the other (unless your app lives/breathes JSON). Performance-wise, they are also likely to be quite similar (I'm sure there are exceptions to the rule. ES' relatively new autocomplete implementation, for example, is a pretty dramatic departure from previous Lucene/Solr implementations, and I suspect it produces faster responses at scale). ES does offer less friction from the get-go and you feel like you have something working much quicker, but I find this to be illusory. Any time gained in this stage is lost when figuring out how to properly configure ES because of poor documentation - an inevitablity when you have a non-trivial application. Solr encourages you to understand a little more about what you're doing, and the chance of you shooting yourself in the foot is somewhat lower, mainly because you're forced to read and modify the 2 well-documented XML config files in order to have a working search app. ES has been gradually distinguishing itself from Solr when it comes to data analytics. I think it's fair to attribute this to the immense traction of the ELK stack in the logging, monitoring and analytic space. My guess is that this is where Elastic (the company) gets the majority of its revenue, so it makes perfect sense that ES (the product) reflects this. 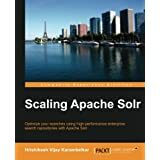 If you're currently using or contemplating using Solr in an analytics app, it is worth your while to look into ES aggregation features to see if you need any of it.